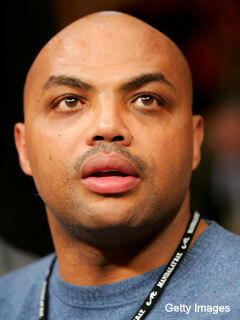 I just watched a video interview with Charles Barkley where he talks about his time in jail. CLICK HERE to see the interview, it’s less than four minutes long so I encourage you to check it out now. In the interview he talks about how much it meant for complete strangers to come up to him and encourage him. You never know what a kind word of encouragement can do for someone. Go out and encourage somebody today. I found it interesting, I hope you do too. I recently saw this story, CLICK HERE, on the Ball Don’t Lie blog about how Charles Barkley offered the busboy, at a restaurant in Philadelphia where Chuck was eating, a free ride through Temple University. Yes, Charles Barkley offered to pay his tuition. The busboy, Christian Abate, did accept Barkley’s offer and now we can give Barkley credit for making a bet on an aspiring human being rather than doubling down at the Wynn. I don’t blame Chuck for doubling down at the Wynn, I’ve done it myself, but I do want to commend him for making an incredibly generous offer. Keep up the good work Chuck.